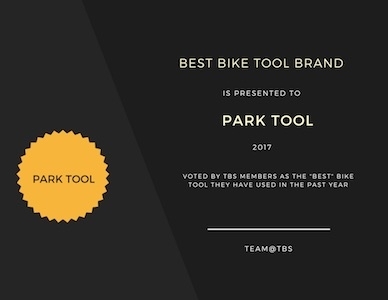 Park Tool is a the leading American designer, manufacturer and marketer of bicycle tools and equipment for both professional and home bike mechanics. Park Tool only make bicycle tools and bike maintenance equipment, it's all they do and there good at it. As well as manufacturing great cycling tools they are also building up a big library of "how to" videos, to assist the DIY mechanic in repairing their own bikes. Park Tool back their tools with a limited lifetime warranty..that's confidence in quality! Park Tool is the most respected and trusted brand of bicycle tools across the globe. Try one and see why. The Bicycle Store is an authorised dealer of Park Tool bike tools and bicycle maintenance products.